Description: Gleaming rose gold tones and winking crystals adorn this elegant necklace. 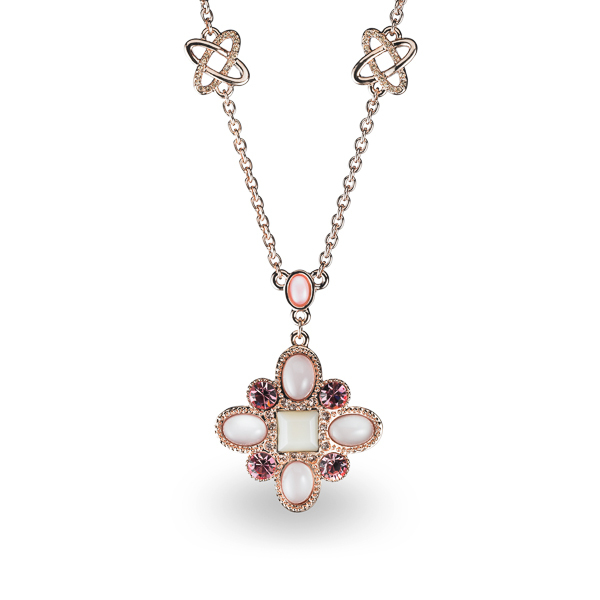 Her pendant mingles with glittering crystals and polished resin stones, delighting in contrast and exuding sophistication. She is surely one to collect compliments with. Enter Quantity for N-AE006 to add to your shopping cart.